Great watches are expensive, there’s no getting around it. If you want a prestigious name and a Swiss automatic movement, even without any kind of crazy complication, you’re looking at an investment. But that doesn’t mean that you can’t get “good” at a steal. If all you’re after is a good-looking accessory that happens to tell the time, there’s no need to break the bank. Under the loupe of a collector of course, there will be some telltale signs that they’re not what you’d call “luxury watches”. 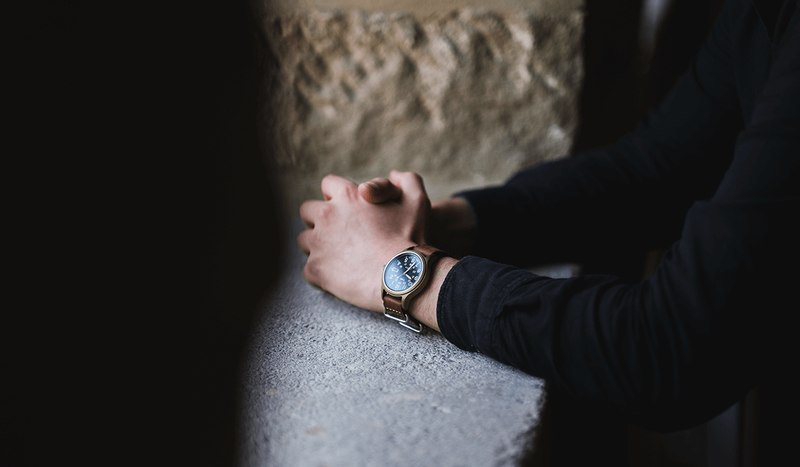 First, there’s the secondhand which, on a quartz watch, distinctly jumps from second to second rather than the smooth, sweeping movement of an automatic watch. Then there’s gold. It’s not getting any cheaper so you can be sure that these sub-£200 timepieces won’t be plated so much as painted. Finally, there’s the feel of the thing. That’s a little more subjective, but often you just know when a watch is serious or not by its weight on your wrist, be that steel, rose gold or even titanium. On the other hand, there’s a huge difference between dropping £150 on a decent-looking, functional timepiece and splashing your inheritance on a £15k Patek Philippe. That’s a lot of money and if you’re not the kind of guy that idolises Swiss watchmaking then it’s not going to be worth it to you, no matter what everyone else says. Does it tell the time any better than a Casio version? Probably not. So why invest thousands of your hard-earned salary on a watch when you can get a handsome timepiece for a fraction of the cost? I’m not saying the below are budget pieces by any stretch, but they are actually affordable – not just by watch standards, but by anyone’s. Well I did say Swiss mechanical movements were expensive; Japanese however, are not. Cards on the table, I own this watch and I love it. At 37mm it’s pretty small, but don’t let its size fool you. Seiko makes some of the most under-priced watches in the world and if anything makes other watchmakers look like shysters in comparison. This little thing even includes a day date function, all for far less than some quartz watches retail at. It’s the cheap watch to wear around watch collectors; they simply can’t say anything bad about it. 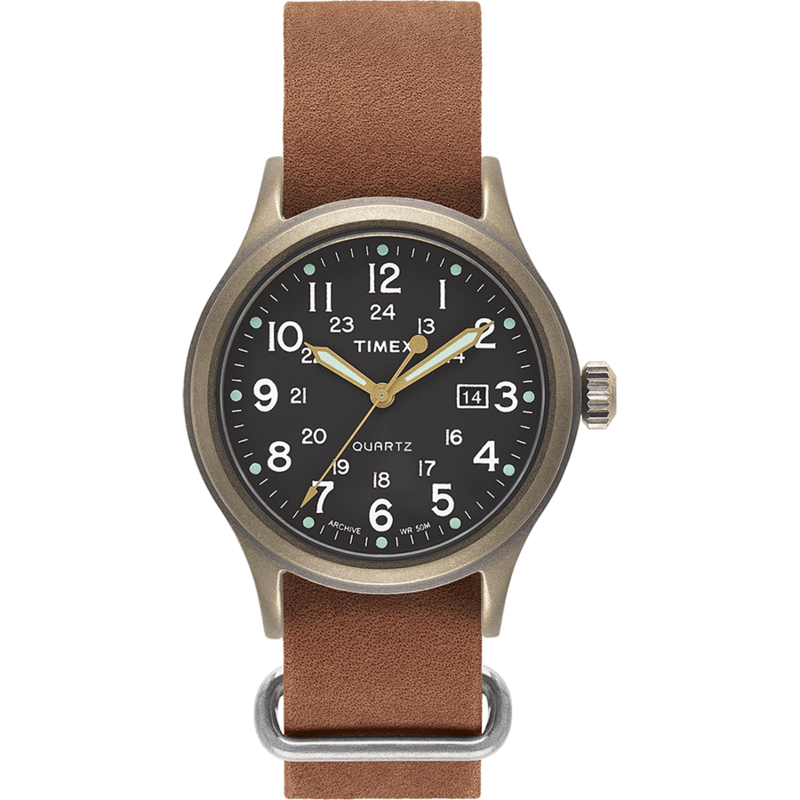 Inspired by the A-11, this Timex watch is a military icon and “the watch that won WWII”. Worn on the wrist of every allied force during that battle, it’s drawn directly from the brand’s extensive archives. The movement is quartz, as you’d expect for anything under £200 (Seiko being the exception), but it’s far better than the bog-standard movement you find in most fashion watches. For one, it includes a quick date change function. It shouldn’t be needed unless the battery runs out but it’s nice to have nonetheless. It’s not hard to see why Filippo Loreti has taken Italy by storm. Their watches are generally sub-£100 and still actually look like “proper” watches. If, like most guys, you’re after a good-looking timepiece, then why invest in anything else? The brand’s Venice model kicks things up a notch, adding a moon phase to the Miyota quartz movement. The blue and yellow gold finish is stunning, especially with the moon and stars showing through at 6 o’clock. It even has a full calendar on the dial, showing day, date and month. The only thing it doesn’t have is a secondhand. It may be quartz but who says you need to actually let on? In many ways these guys are the Scandi equivalent of Filippo Loreti. 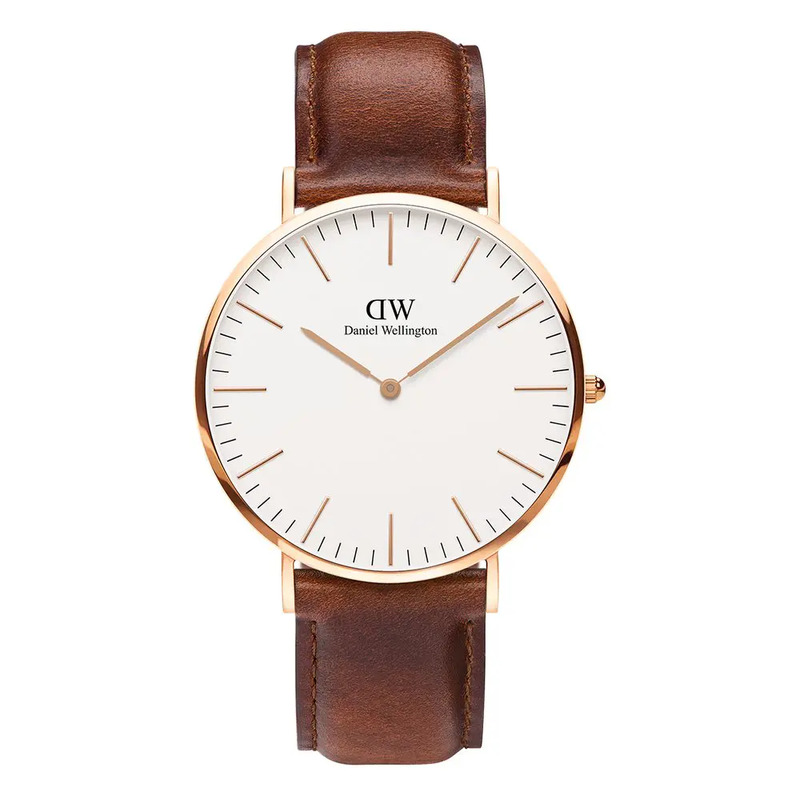 Where the latter loves adding complications to the movements and busying up the dials with a bit of flash, Daniel Wellington prefers minimal and reserved. The St. Mawes is about as restrained as a watch can get and still have indexes. A plain white dial, rose gold batons and a simple two-hand movement (again camouflaging the quartz by knocking off the second hand) it’s the definition of simplicity. It comes in 36mm if you really want to lean into the vintage look, but the 40mm is far more wearable. The only issue you might have is that minuscule crown; even my fingers are barely that dainty. Swatch produce some seriously cool, traditional-looking watches and even have a decent selection of automatics to choose from. Screw that though. There are enough watches on this list that pretend to be “proper” watches, so how about something that’s just a hell of a lot of fun? There’s always a Berlin design studio’s worth of funky Swatches around at any time, but this… this is the one. Aside from the fact that I love a good pun (hazard of the job), the psychedelic monochrome pattern that bends its way across the Sixtease is eye-catching to say the least – stretching across dial, case, strap and all. It definitely wears its inspiration on its sleeve. Or wrist. Or whatever.